Wing's Compiled Service Record. Wing joined the regiment in October 1864. He was committed to one year of service. His enrollment records list him as 21 years old, English-born, and earning his living as a distiller. Wing was a substitute, according to Illinois adjutant general records, for one Martin Lipscomb. 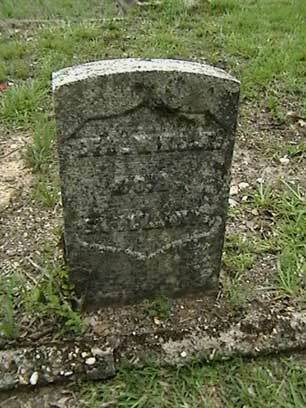 The regiment's late-1864 draftees and substitutes suffered heavily at the Battle of Frankin on November 30, 1864. Wing, though, had the good fortune to be in a military hospital at Nashville at the time; he returned to the regiment on December 10, in time for the Battle of Nashville. Wing survived the war, stayed with the regiment through its last day in Texas in September 1865, returned to life in Chicago, and then at some point left Chicago behind for Georgia. 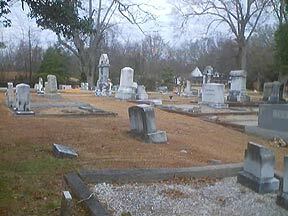 Ernest Blevins, a genealogist and historical researcher from Villa Rica, Georgia recently contacted us saying that he had come across Wing's neglected grave in a cemetery at Tallapoosa, Georgia. Ernest Blevins has learned many things about George Wing and still continues his research. The results of his still in-the-works research appear below. A few months ago I was searching for something which I now don’t recall much less recall if I found what I was looking for originally. However, I discovered an 1894 publication called the Roster and History of the Department of Georgia (States of Georgia and South Carolina) Grand Army of the Republic. Interestingly this publication was only on WorldCAT (for those unfamiliar this is a database that links thousands of library online catalogs) in two places: Minnesota Historical Society and Princeton University. Over some discussions I secured a copy from the Minnesota Historical Society – with clearance to put a copy at the Georgia Archives. This will happen at a future date. In the Roster and History there was an interesting tidbit about the existing GAR posts in Georgia and South Carolina. The typical cities with a post were large such as Atlanta, Macon, Savannah in Georgia and Columbia, Charleston, Beaufort (which fell in 1861 to the Union and stayed throughout the war) in South Carolina. But Post 4 was unusual. It was located in the small town of Tallapoosa, Georgia which is 63 miles west of Atlanta, almost on the Alabama border and only created in 1860. Tallapoosa was a resort community of the late 19th century and into the early 20th century. It was also widely advertised by the Georgia-Alabama Investment and Development Corporation in the 1890s. Booklets proclaimed the pleasant summer and winter climate and health benefits of the city and region (often touting malaria as never having been reported). This development corporation was based in Boston, Massachusetts with ties from both sides of the war – Gen. Benjamin F. Butler of Massachusetts as a director and Confederate General John B. Gordon on the Advisory Board as two example. Tallapoosa also boasted the first ever organized post of the South Woman’s Relief Corps. Post 4 had 21 members in 1894. I took the Roster and History to Tallapoosa and found the cemetery I knew must be somewhere in the city – everyone has a city cemetery. I’d figure I’d try to find these men – on the hunch that most would be buried there or in other nearby cemeteries I could locate later. I managed to find four on the roster in Hollywood Cemetery at Mill and White Streets. Not too bad considering I found 17 that were not on the 1894 roster. 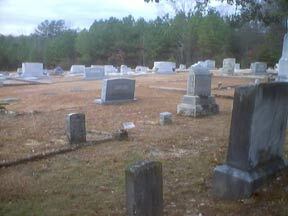 To date there are 21 known Union soldiers in this cemetery. Most have government markers and a few have private headstones with their service. One stone in particular caught my attention on my first trip. After some research it was determined that it is Private George Wing, Junior. This stone is in poor condition and has been deemed eligible for replacement with a modern VA stone. The following biography of George Wing is a work in progress complied from census, immigration, and military records uncovered to date. Further research will include his pension (his and his widow’s pension numbers have been located but not ordered) and deed research in Haralson County. George Wing, Junior was born on ___ September 1845 in ___, England to George Wing and Mary ____. His father was a miller in England and after immigrating to the United States. Mary ___ Wing is of German stock. In addition to George the family is known to also have Phebe, b. ca. 1850, England; Thomas b. ca 1854, New York; John, b. ca. 1856, Canada; and Pet (female) b. ca. May 1860, Illinois. The family arrived in New York on the Isaac Webb on 19 September 1853 from Liverpool, England. After the War Between the States, George was again in Chicago, Cook County, Illinois and married to Harriett _____ in February 1870. He was 25, she 16. Her parents are listed as “foreign born” but no nationality is included on this census. George Wing, Jr. works in a distillery (which is a profession he is listed as having in records on the 51st Illinois available on line). At an unknown date before 1900, George Wing moved to Tallapoosa, Haralson, Georgia. Tallapoosa at this time was a resort town in west Georgia and was well known. In 1894 it is listed as having GAR Post 4 (to date Wing is not known to be a member which could mean he moved after 1894). It is unknown what happened to Harriett, but in Tallapoosa, George is married to Lena ____ who was born June 1853 in New York to German parents. According to the 1900 census they have been married 20 years (1880, so Harriett and Lena are not the same person). They have three living children in 1900 but they are old enough to be on their own or for some other reason are not living with them in the census. Her total number of children is 3 but could be 8 because the writing is unclear. In Tallapoosa, George owns a farm and is listed as a farmer. But how did he end up from Chicago, Illinois to west Georgia? Revealed in the publications of the Georgia-Alabama Investment and Development Company literature reveals several local officers: Boston, Tallapoosa, New York, Philadelphia and Wing’s home of Chicago. Also Tallapoosa sits at the cross rails of a north-south line that runs to Chicago and an east-west line built in the 1880s. Photographs, genealogical research, and historical research by Ernest Blevins. George Wing Compiled Service Record, 51st Illinois Infantry, Records of the Adjutant General's Office, 1780's-1917, Record Group 94, National Archives and Records Administration, Washington, D.C.